MAY 1--A woman who has been diagnosed with mechanophilia, a sexual attraction to vehicles and machines, recently caused a disturbance in her Pennsylvania neighborhood when she bolted from her home and chased after cars to which he was attracted, according to a police report. 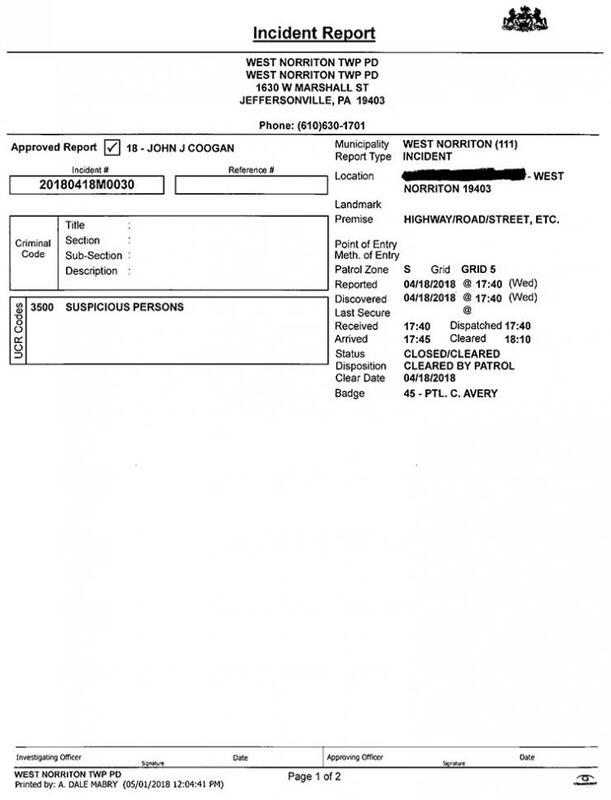 Cops in West Norriton, a township about 25 miles from Philadelphia, received a call on April 18 about a woman running in the roadway who was being chased by two other females. Officers determined that the pursuers were a pair of home health aides assigned to the woman who was running towards a Marshalls department store around 5:40 PM. Police explained to the woman that “her actions were dangerous and she needed to go home,” according to a West Norriton Township Police Department report. 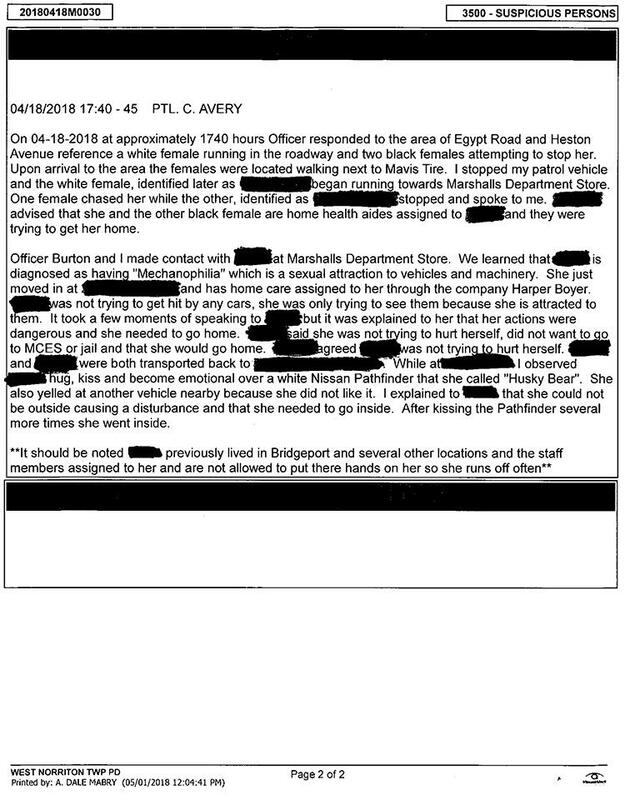 One patrolman explained to the woman that she “could not be outside causing a disturbance and that she needed to go inside.” After “kissing the Pathfinder several more times,” the woman returned to her residence.